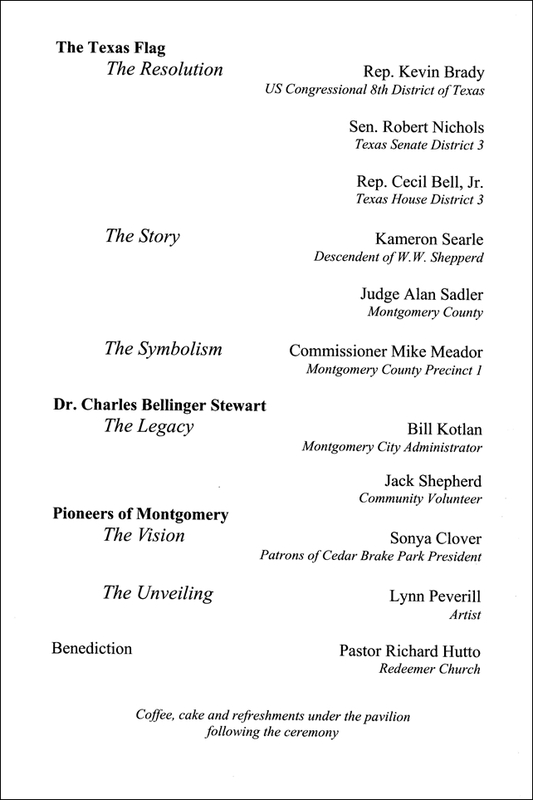 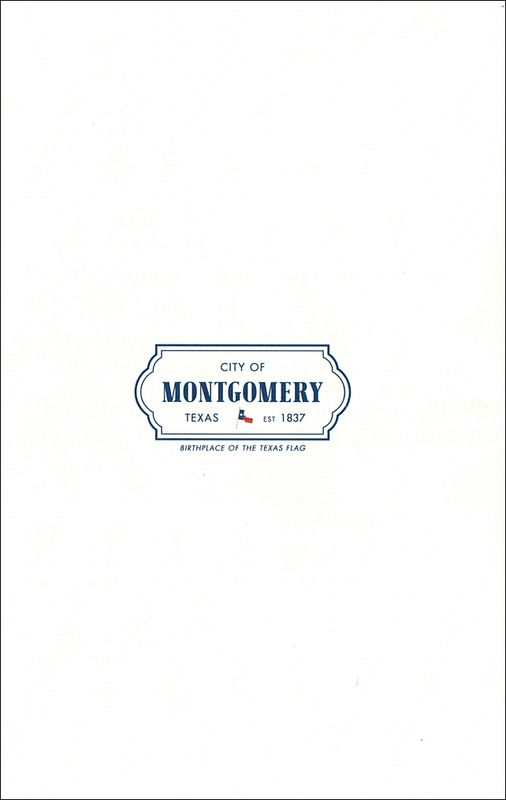 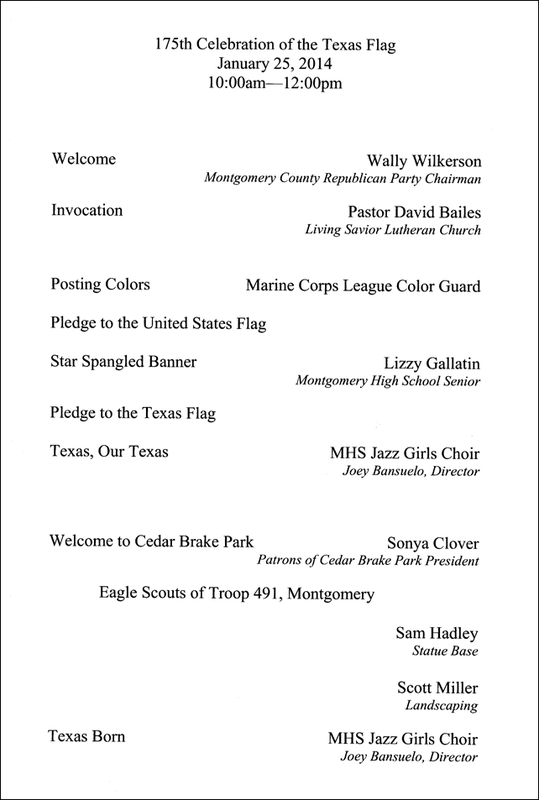 On this page, we will post photos from the dedication of the first of the five Pioneers of Montgomery Monument statues. 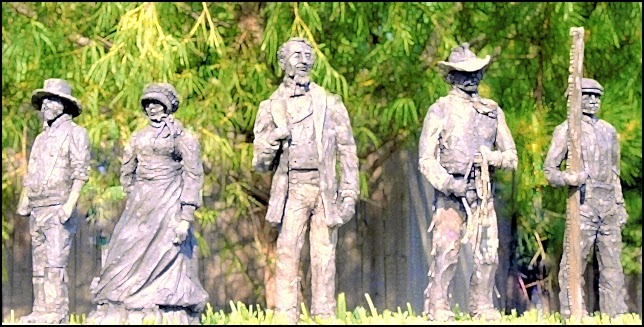 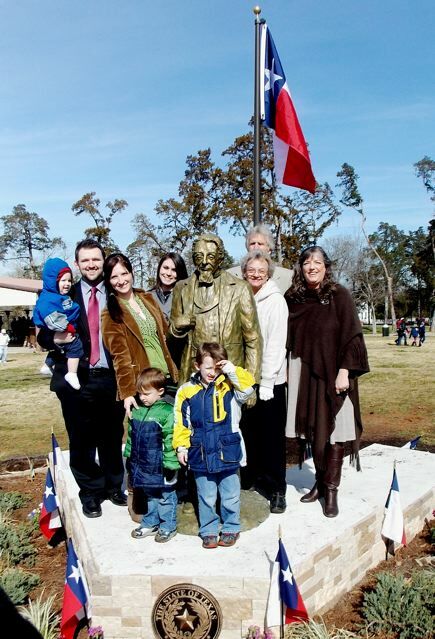 The first statue dedicated was of early Texas settler and Texas founding father, Dr. Charles B. Stewart. 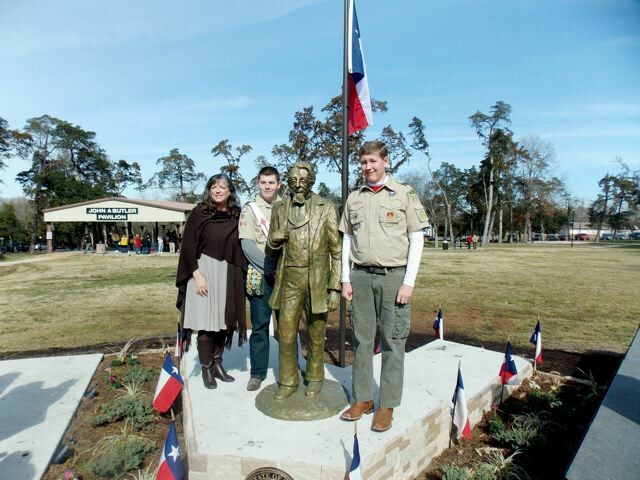 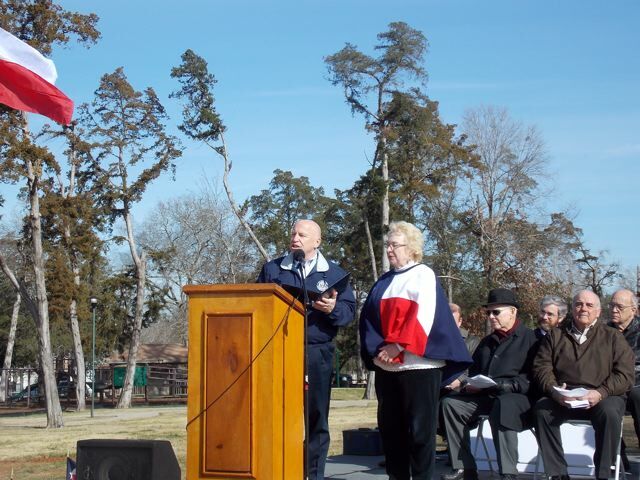 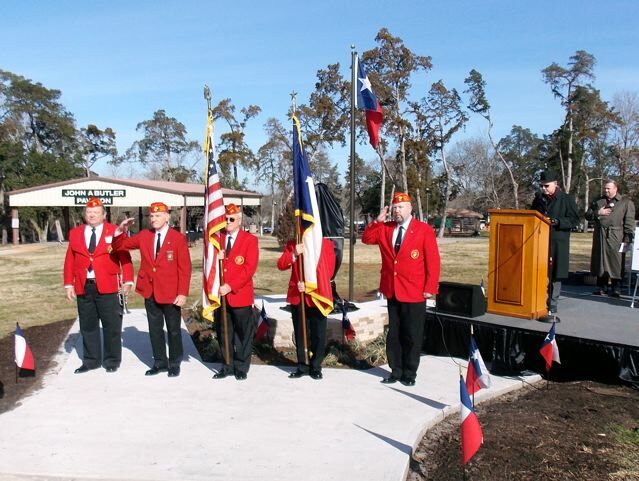 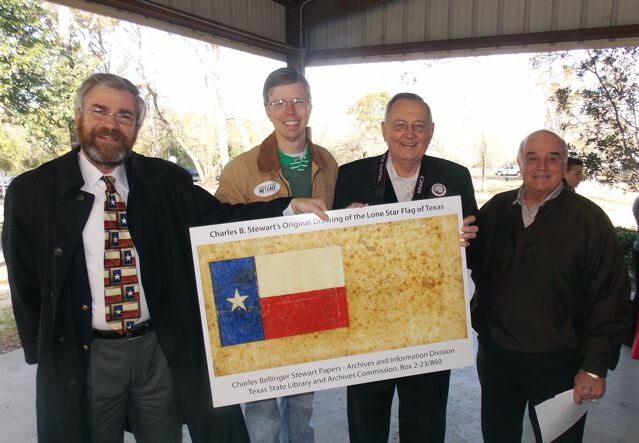 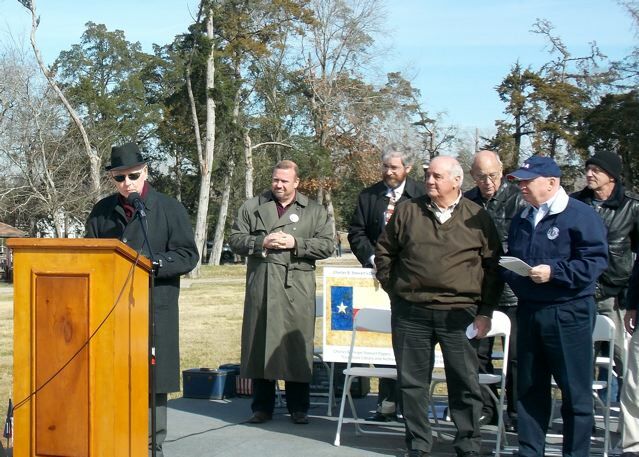 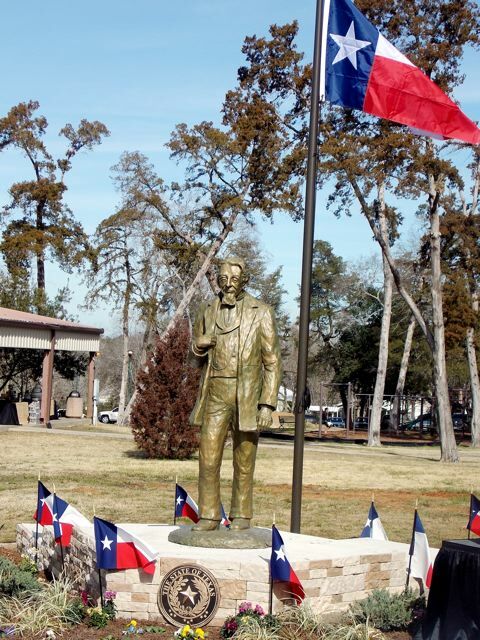 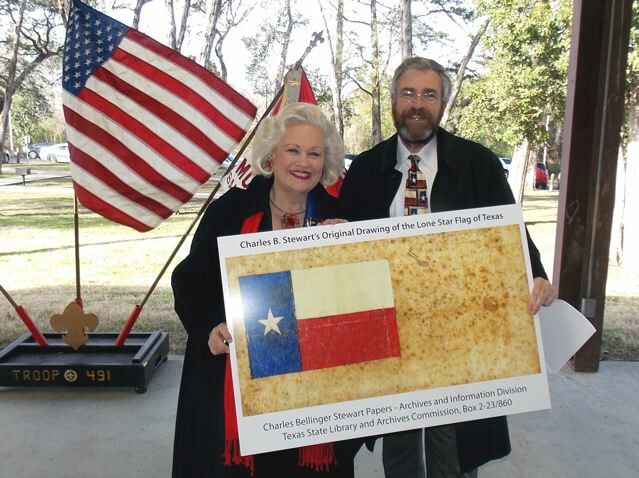 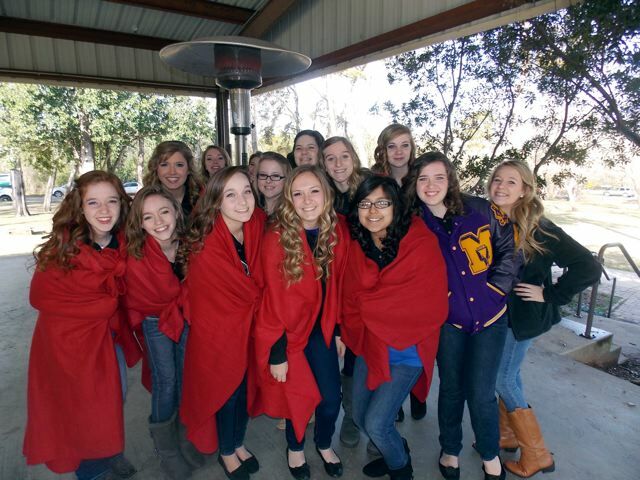 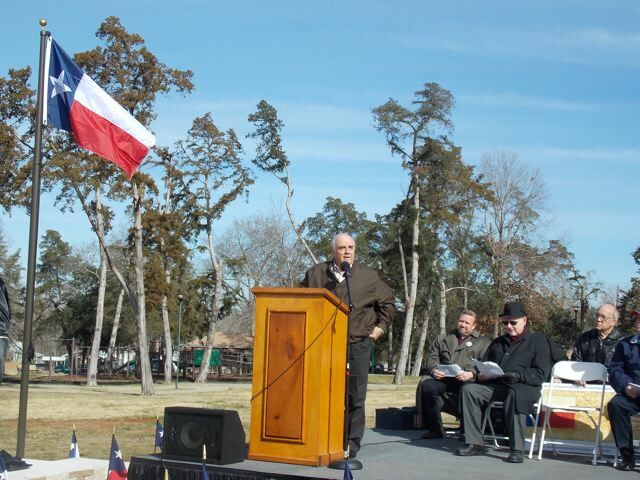 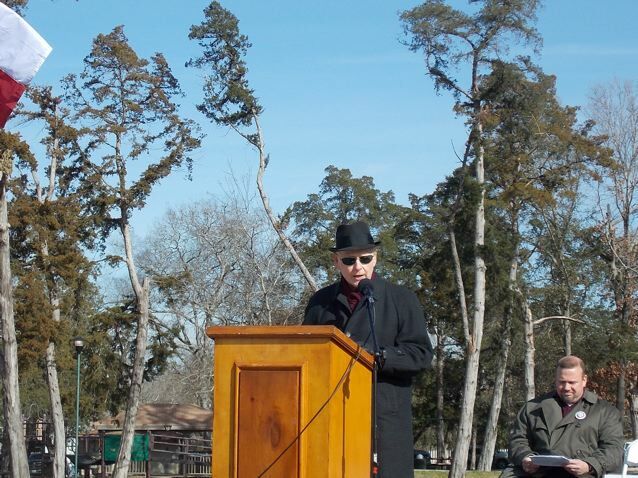 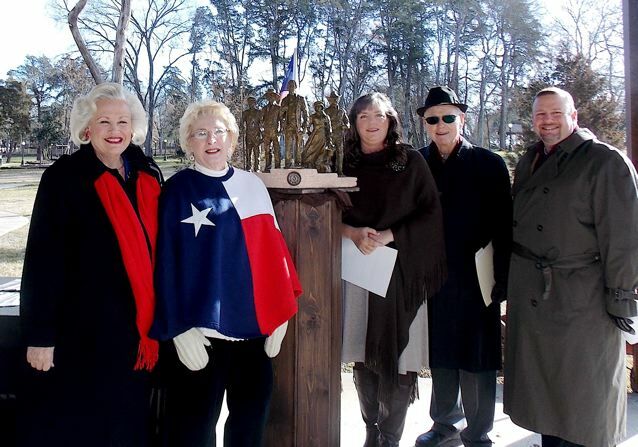 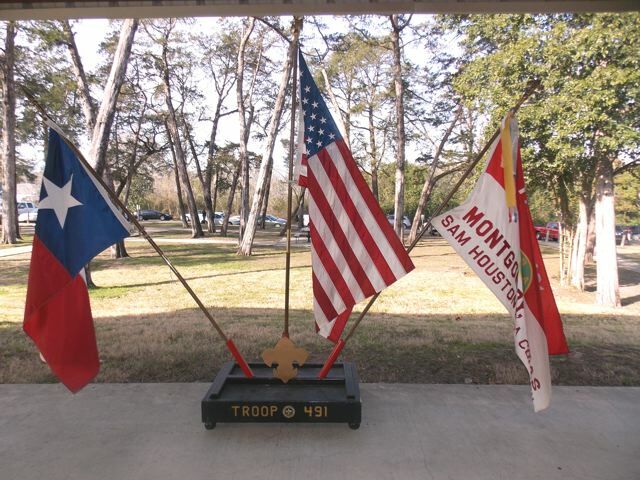 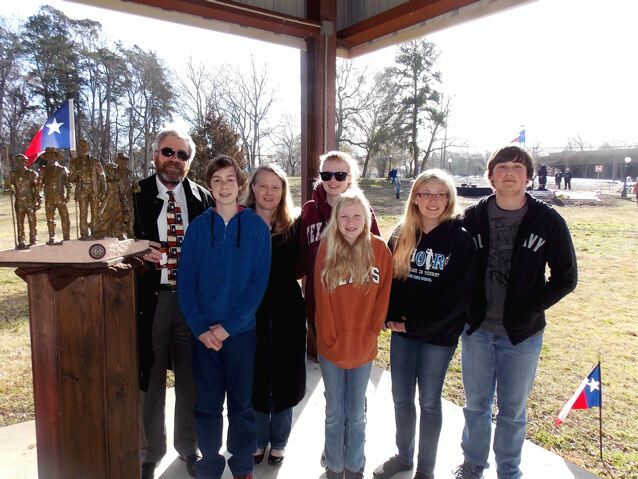 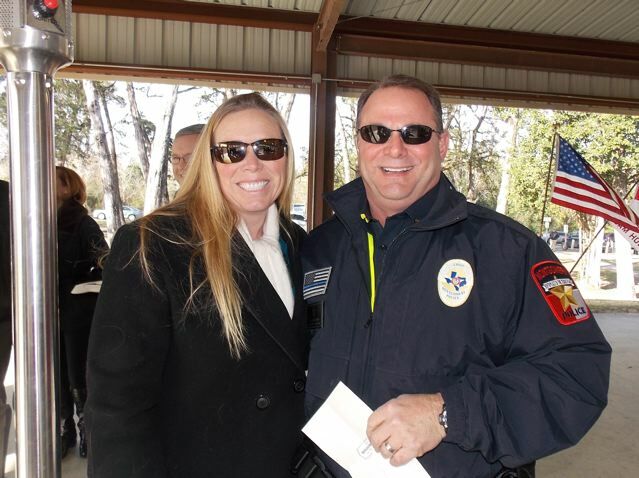 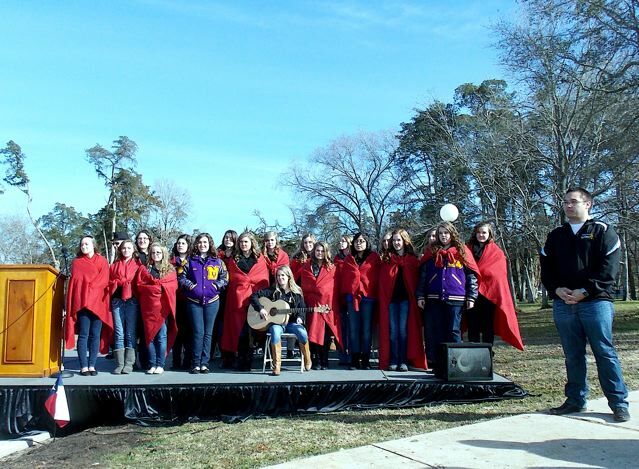 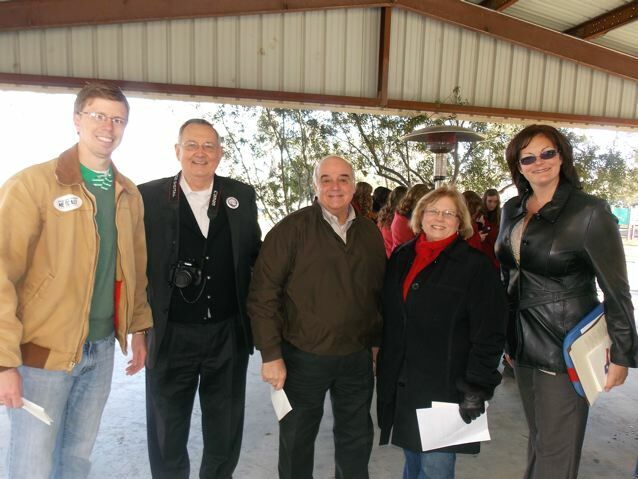 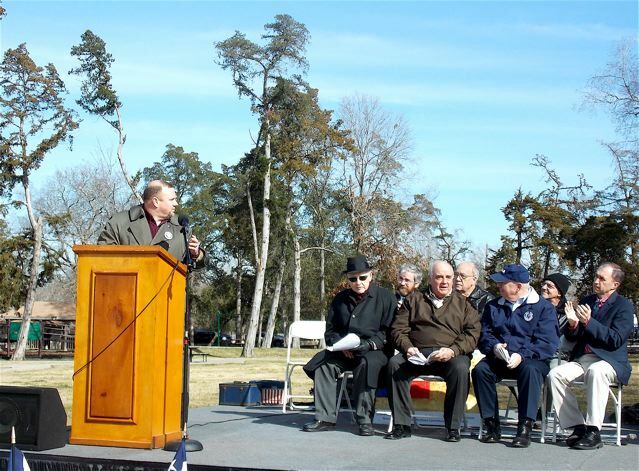 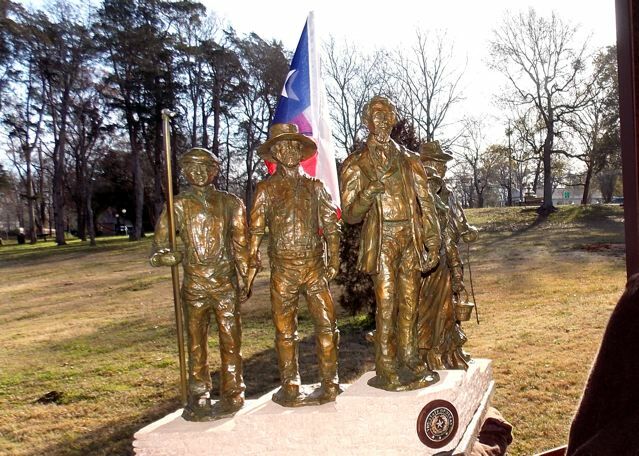 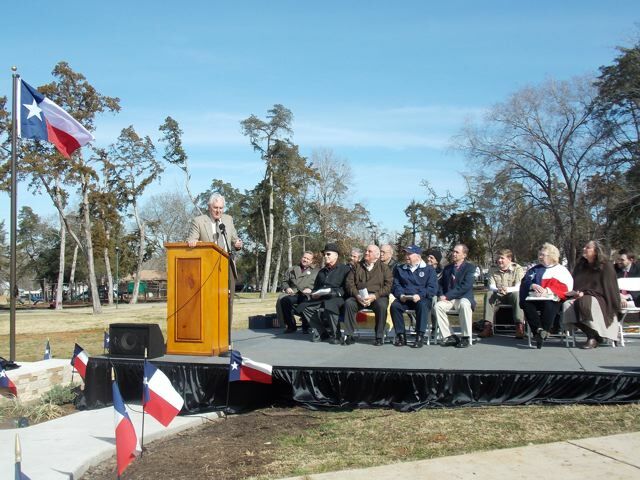 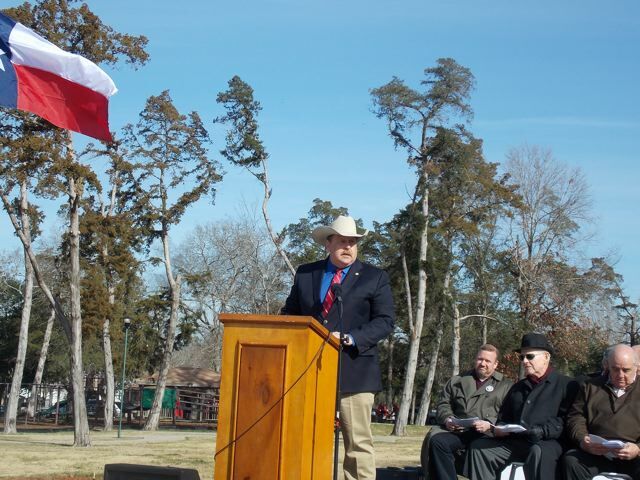 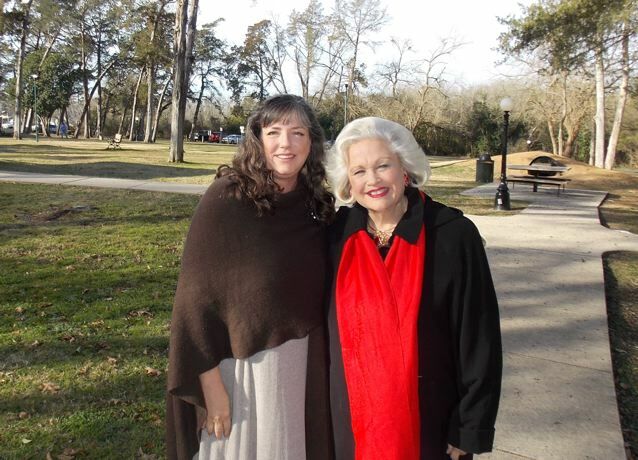 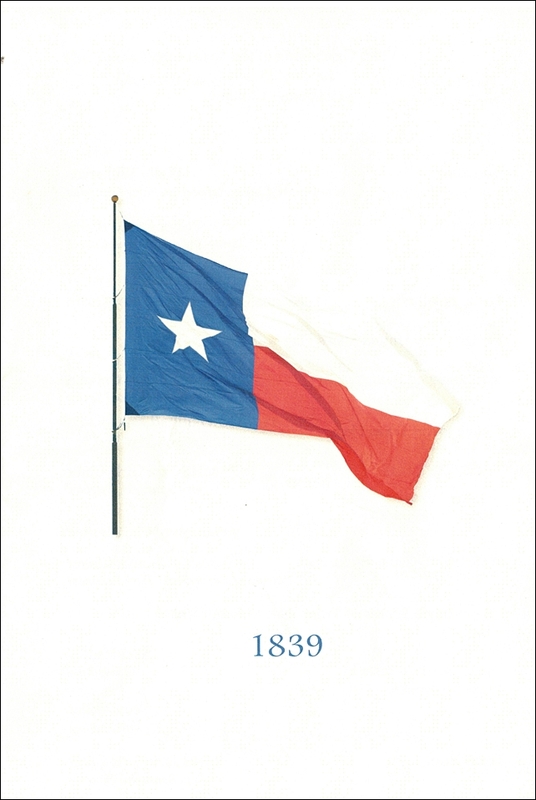 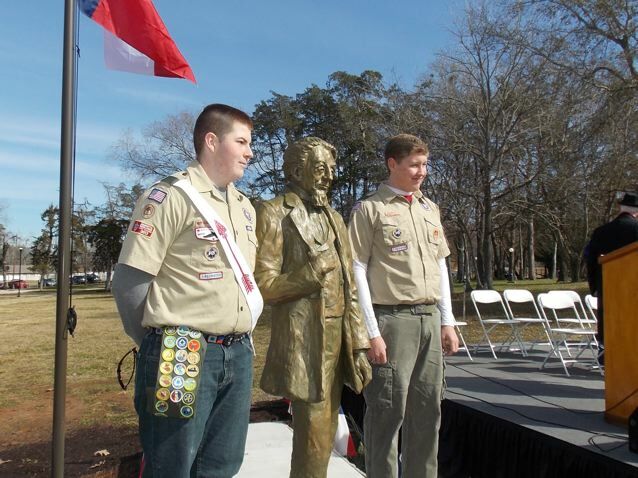 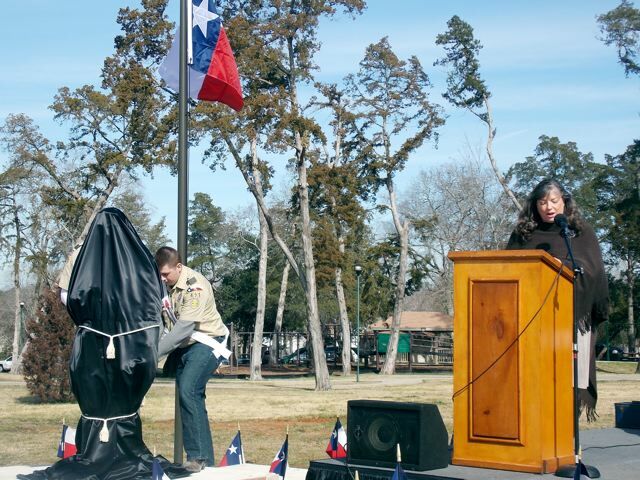 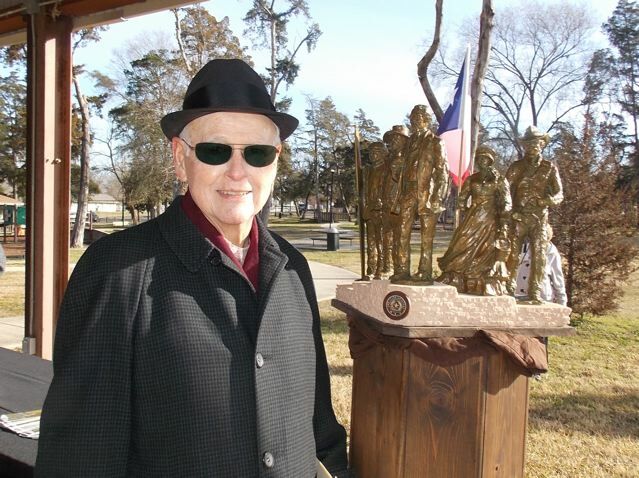 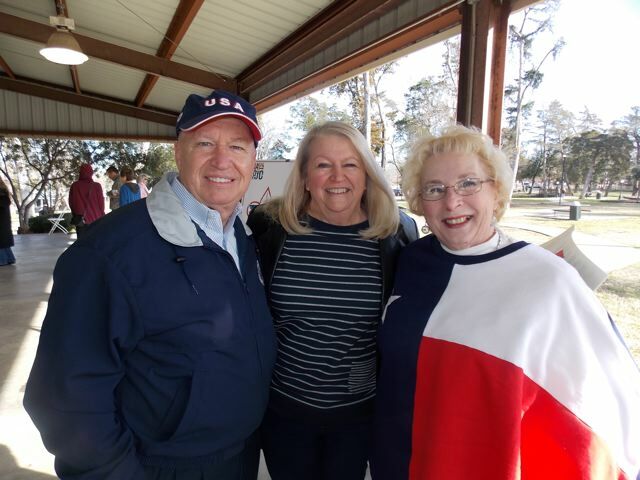 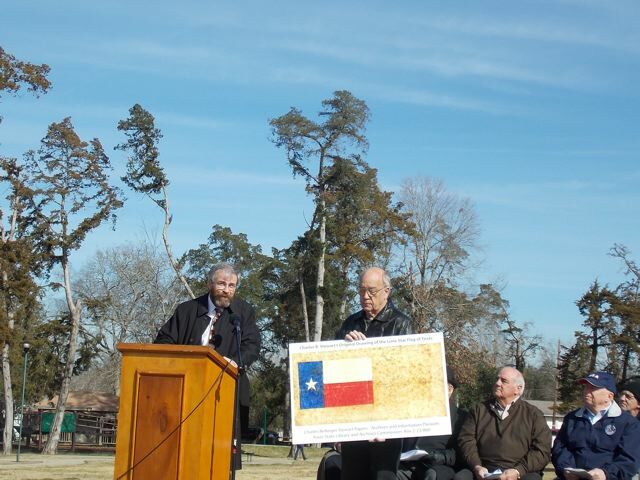 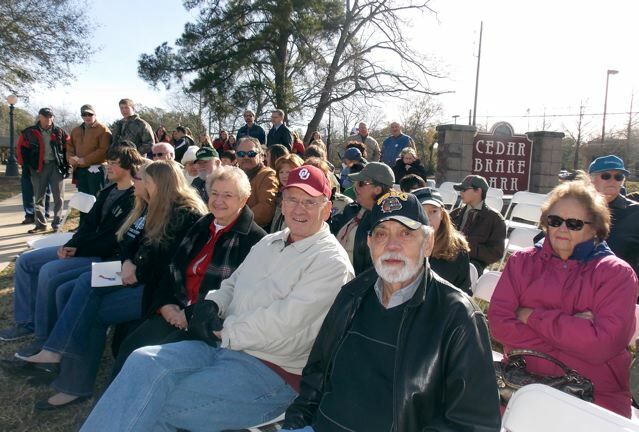 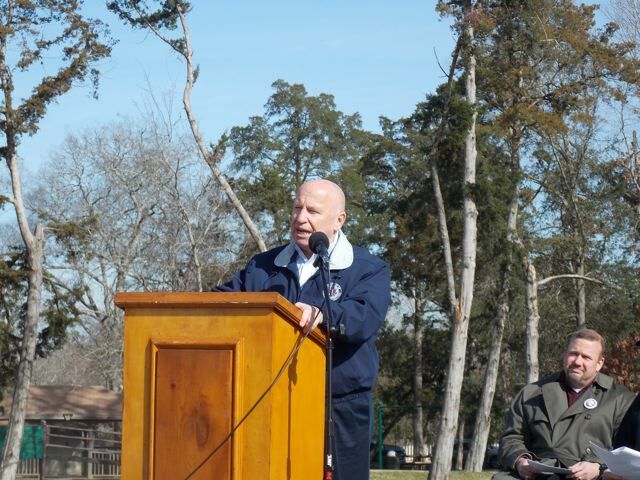 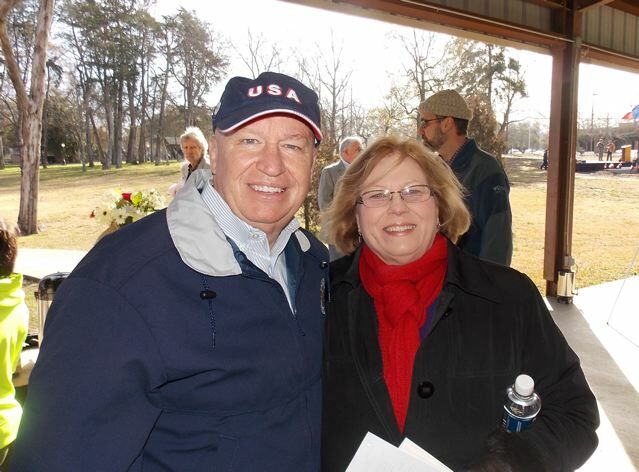 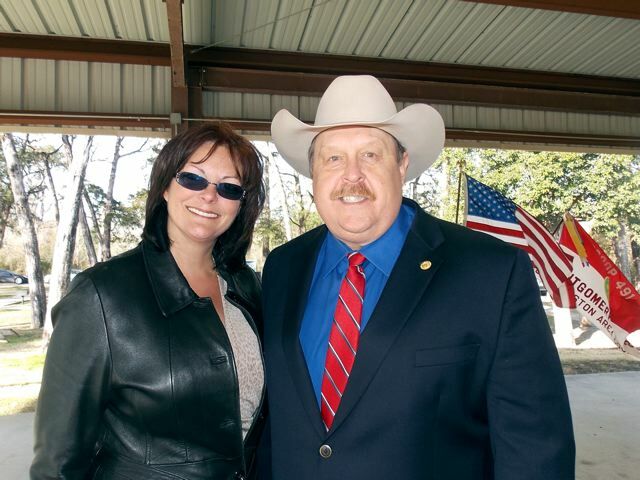 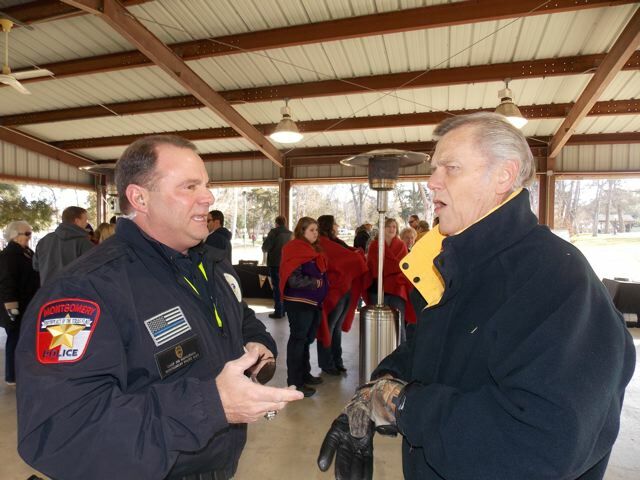 The statue of Stewart was dedicated in Cedar Brake Park on January 25, 2014 which was the 175th anniversary of the adoption of the Lone Star Flag of Texas (January 25, 1839). 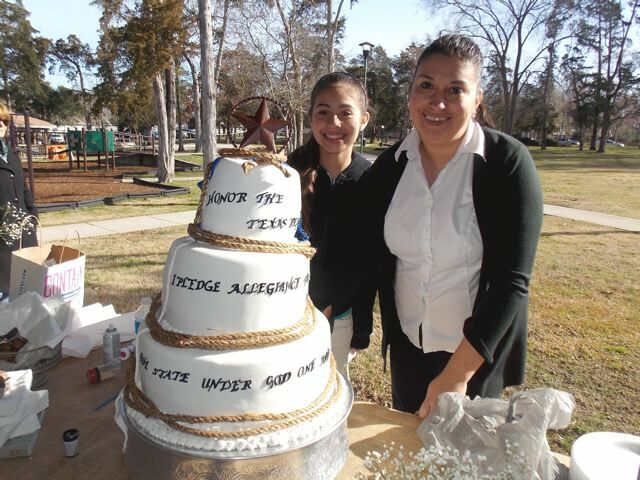 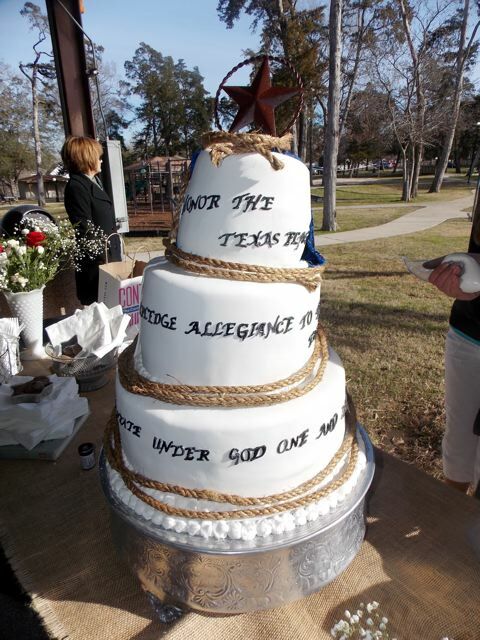 The Cake - "Honor the Texas Flag..."